This utterly conventional but thoroughly engaging Anthony Asquith-directed adaptation of Terence Rattigan’s play manages to be lightly cinematic without damaging the classic it is adapting. 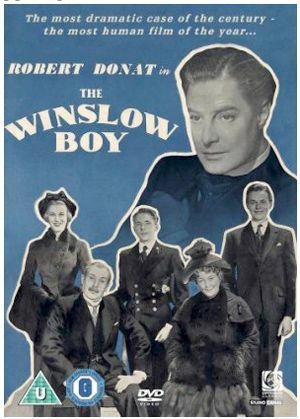 When brilliant barrister Sir Robert Morton (Robert Donat) considers taking on the titular character’s case (he’s been expelled from naval school for stealing a postal order), the film captures the high tension in the scene. As the film cuts back and forth, increasing the editing tempo, and playing up high and low angles, so we notice we are in the hands of an efficient director, a skilful playwright (Rattigan adapted the play for cinema himself), and a masterly actor of diction. This is British cinema at its most elegantly effective, at the service of the theatre. Minimal extras.